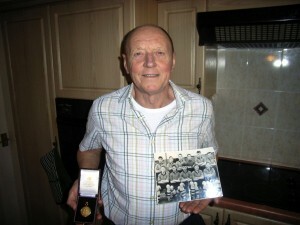 Brian Punter with his FA Youth Cup runners-up medal and a picture of the Wolves side who played in the final. A former Molineux youngster who was the first player ever to wear Wolves’ famous 1950s fluorescent gold shirt has treated himself to the FA Youth Cup final medal he was due 56 years ago. Brian Punter played in the first leg of Wolves’ 1952-53 Youth Cup final against Manchester United – a 7-1 defeat at Old Trafford in front of 21,000 – but suffered an ankle injury that kept him out of the return five days later. The FA consequently overlooked him for a medal but, in his early 70s, he has addressed the matter by obtaining one from the organisation. “Maybe we weren’t as switched on to such matters then as we are now but I thought it would be nice to have one to show to our grandchildren,” said Brian, a right-winger who didn’t make it to Wolves’ first team. 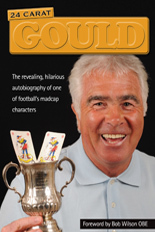 “It cost me £70 and I had to provide a bit of paperwork but I regard it as money well spent. I’m sure I would have played in the second leg as well had I not been injured because I played in all of the previous rounds, including games against Albion and Birmingham. “It was a very heavy pitch at Old Trafford and I had to stay on, hobbling around for about 70 minutes, because there were no substitutes. Wolves’ side at Old Trafford at the end of that inaugural FA Youth Cup season was: Peter OWEN, Arthur HODGKISS, Eddie CLAMP, John TIMMINS, Peter RUSSELL, Frank BOLTON, Brian PUNTER, Bobby WALKER, Harry SMITH, Colin BOOTH, Len COOPER. For the second leg, Ron Howells and Stephenson went in and Walker also dropped out. 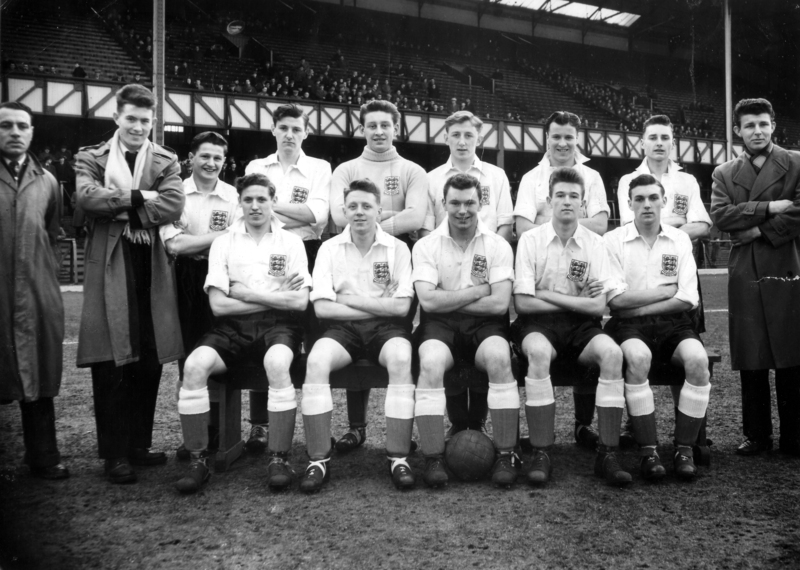 Punter, one in from the left on the front row, with England Youths before they took on their Scottish counterparts at a bone-hard Ibrox. Punter, born in Waterloo Road, also played three times that season for England Youths before joining Leicester but wasn’t prepared to gamble on making it in football and pursued a safer career in business instead, working for many years in Wolverhampton as a design draughtsman. He played for five years for Lincoln as a part-timer and was their top goalscorer in both 1961-62 and 1962-63, also serving Kidderminster, Bromsgrove, Hereford, Nuneaton, Stourbridge and Darlaston. A former champion athlete, Punter, who still lives a few miles from Wolverhampton, is a long-time Molineux season ticket holder and has worked in recent years as a scout for Wolves’ Academy. So what about that shirt? “I was used to trial the new fluorescent jersey in preparation for floodlights going up at Molineux,” he added. 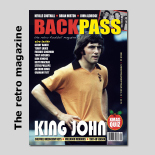 “Only one shirt was available initially and I wore it in a floodlit friendly in 1952-53 between Wolves’ youth team and the Birmingham County FA youth team at the Revo Electric ground in Dudley. Posted on: Thursday, January 15th, 2009.